As a mom of two beautiful doggies, I feel there’s nothing like walking around the house and suddenly experiencing a tender moment just by looking at your beloved pet in a portrait. That's why I do more than just take pretty pictures, I’ll be creating first-class artwork featuring that special creature that means the whole world to you, I guarantee you will leave with a unique piece of art that you will love and treasure. Fill your walls with love! Bring your best memories of your furry friend back to life by turning them into beautiful, ready to hang, gallery wrapped canvas you will enjoy for many years to come. 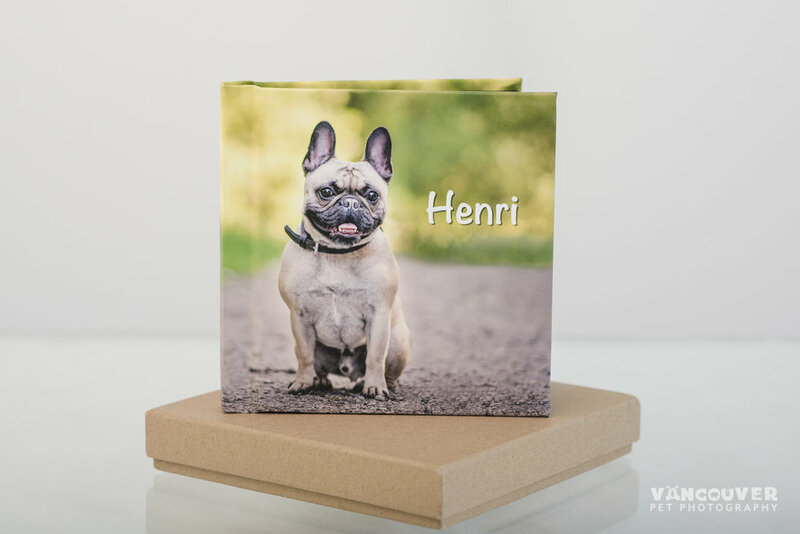 Vancouver Pet Photography’s canvases are printed using the finest archival quality canvas so there is no fading or colour shift and a protective coating so that they may be wiped with a damp cloth if necessary. All portraits will be retouched to perfection before printing to guarantee the ultimate WOW effect! Available in sizes from 20" to 40"
This is the perfect option for those who want a beautiful collection of images to showcase in their home. All fine art printing is done on professional grade photographic papers only, which means the best quality you can get and the longest lasting product! Are you struggling to choose which images to put on the wall?Albums are the perfect way to display all of the images of your beloved friend that you cannot live without. Every detail matters. I make sure that each element of your album is the best it can be. They are all printed using premium professional papers with high-end, lay-flat pages. Each book is custom designed to suit the images you select. 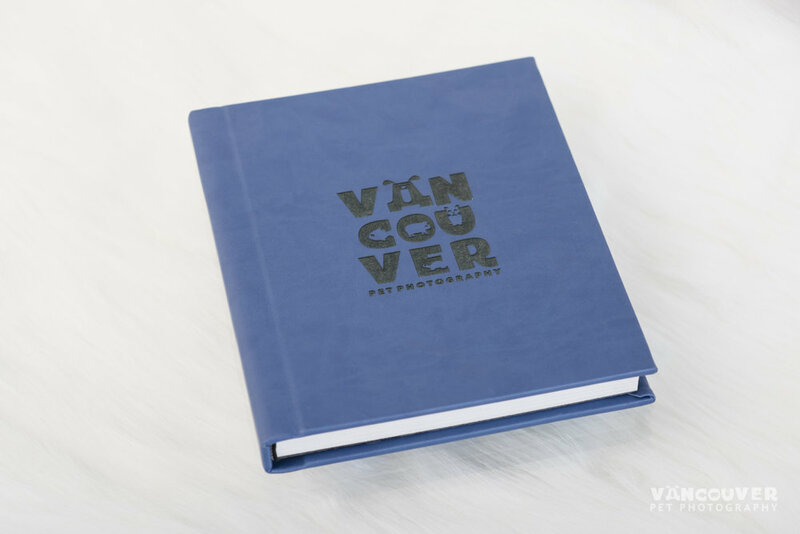 No photoshoot is complete without a custom-designed premium album to show off your memories! Tell the whole story with this personalized album that can include up to all photos from your session. The classic beauty of a mount leather photo album is timeless. My Signature albums are individually handcrafted with thick lay-flat panoramic pages, and a wide selection of beautiful vegan leather covers that feel great to the touch but are totally animal-friendly. Each book features 10 pages (20 sides). Available as a 8x10” in size. This little book is the perfect addition to any wall art order. It features a custom made cover with a photo and text of your choice and finished with a laminate that offers both liquid and UV protection to make it easy to keep clean and wear well with normal use. Each book comes in 6x6” in size and includes 5 pages (10 sides).